Sure, the malls have been decked with Christmas decor for weeks already but for most people, the holiday season doesn't officially start until Manhattan is swarmed by giant helium balloons and Santa Claus rides down Sixth Avenue. 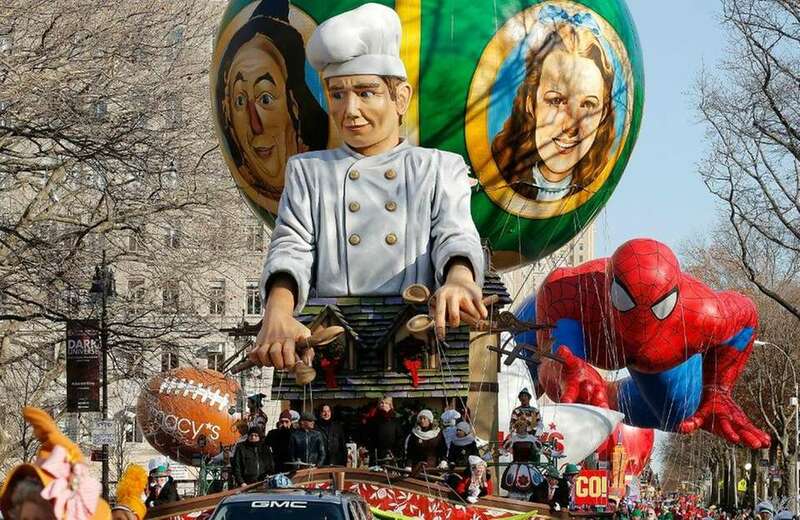 Of course, we're talking about the annual Macy's Thanksgiving Day parade. Millions of people will once again kick off Thanksgiving by watching the parade from the city or the comfort of their homes, but do they know how this tradition started? 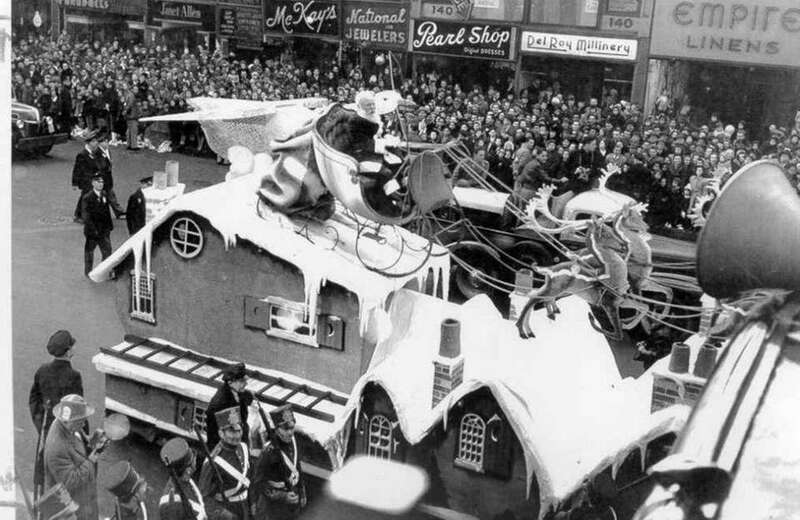 When the first parade was held on Thanksgiving Day in 1924, it was called the "Macy's Christmas Parade." The event was organized by a small group of Macy's employees, who dressed in costumes and marched from 145th Street and Convent Avenue to the company's Herald Square flagship. They were joined by a mix of entertainers, floats and -- of course -- Santa Claus. Wait, where are the bearded ladies and clowns in a car? 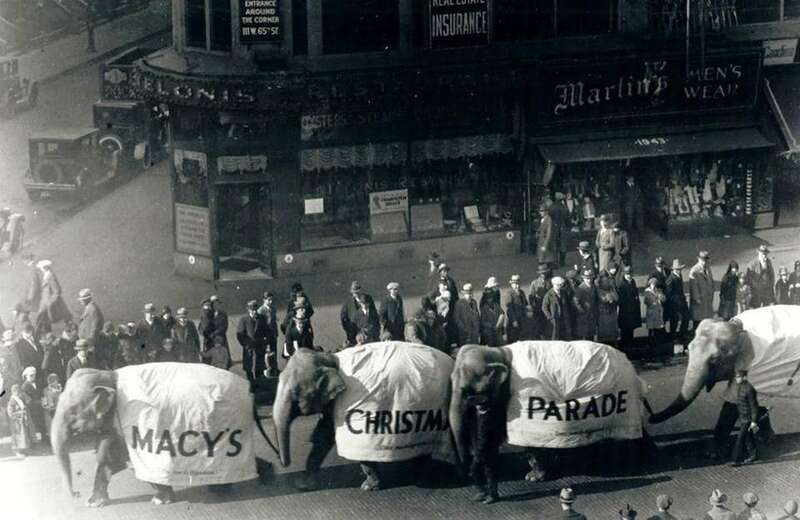 The original parade in 1924 included a menagerie of circus mainstays, including monkeys, bears, camels and elephants, all borrowed from the Central Park Zoo. Come 1927, the live animals were out and they were replaced by inflatable critters. 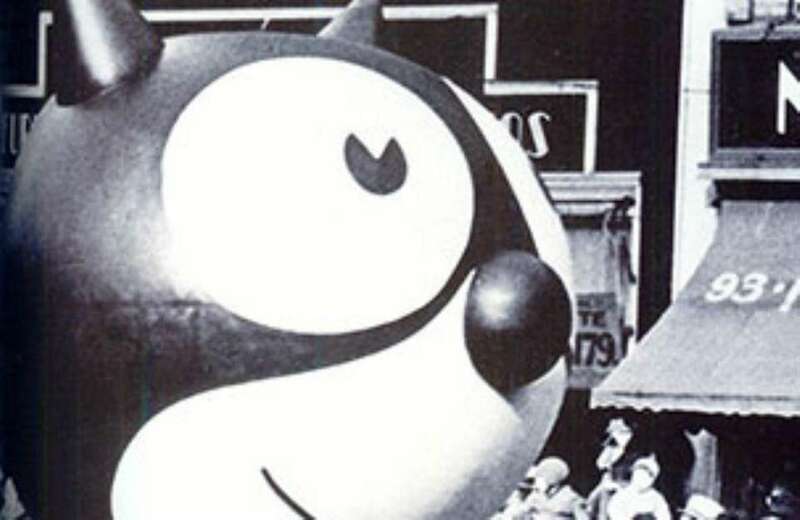 This was the year that the parade's signature giant helium balloons made their debut, with Felix the Cat leading the way. He was joined by a flying dragon, elephant and toy soldier. The balloons used to be released into the air -- on purpose! 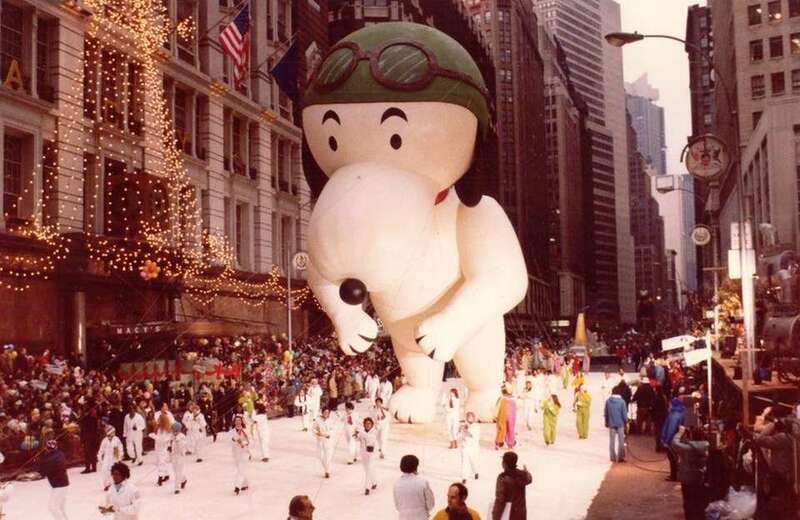 If Snoopy or another one of the parade's giant helium balloons float away today, someone's going to get fired. OK, maybe just given a talking-to. 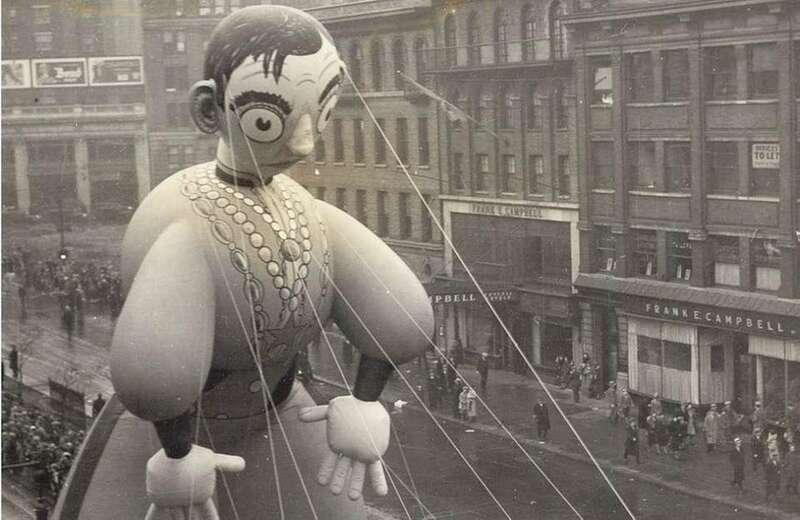 But in the past, organizers would intentionally release the enormous inflatable characters into the sky after the parade, instead of deflating them. At first, the balloons would pop quickly, but, starting in 1929, safety valves were added so the helium could slowly seep out, allowing them to float for a few days. The balloons were also tagged with return address labels, so when they finally did land, they could be sent back to Macy's, which would reward its finders with gifts, including $100 checks. This practice was discontinued after a balloon released following the 1932 parade "wrapped itself around a passing airplane's wing, sending it into a tailspin," according to TIME magazine. The mid-air collision, which happened over Jamaica, Queens, luckily didn't result in any fatalities -- the pilot landed safely at Roosevelt Field. 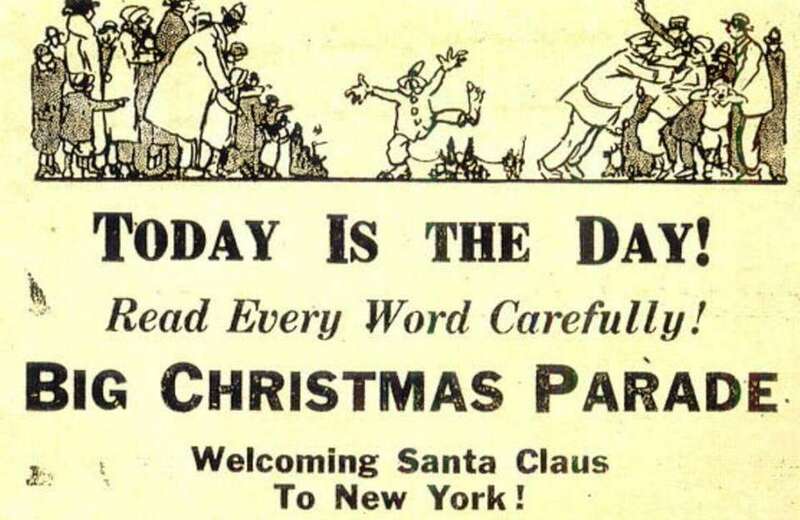 Santa Claus has been the finale of the parade every year except for 1933. 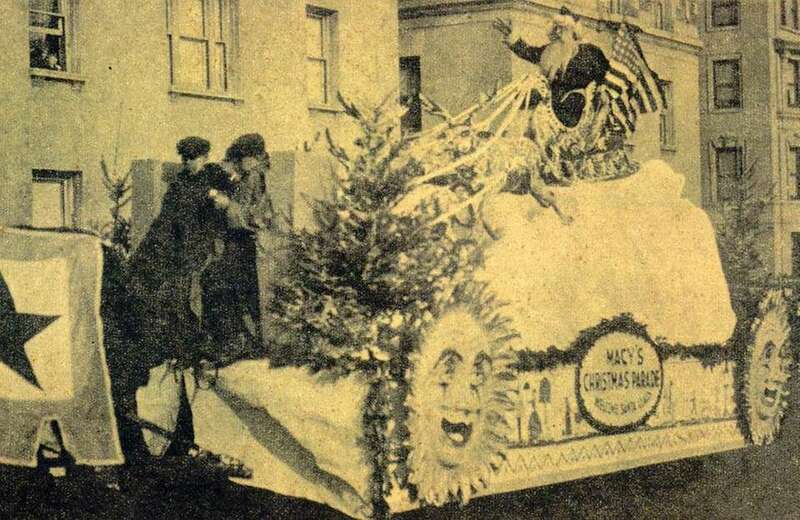 That year, organizers decided to have St. Nick kick off the parade. The parade scenes in the 1947 holiday classic "Miracle on 34th Street" are actual shots of the 1946 Macy's Thanksgiving Day Parade. After careful preparation, the film's producers set up cameras along the parade route. They were mindful that they wouldn't have the ability to shoot retakes since it was a live event. And, unbeknownst to most spectators, the Santa Claus riding in the parade that year was actor Edmund Gwenn, who played Santa Claus in the film. 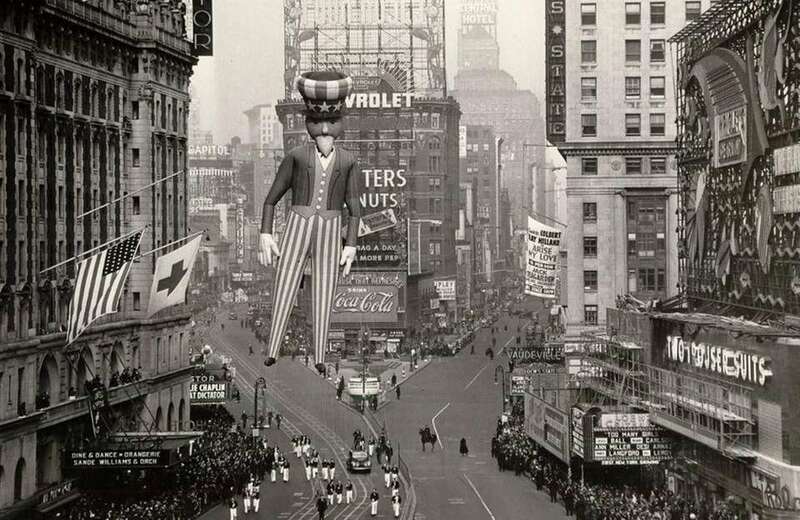 The parade went on a three-year hiatus when the U.S. entered World War II, prompted by the subsequent rubber and helium shortages. The 1942, 1943 and 1944 parades were canceled and the balloons were donated to the U.S. government, providing 650 pounds of scrap rubber for the war effort. There's been "Flying Ace Snoopy," "Astronaut Snoopy" and even "Millennium Snoopy." Since 1968, there have been seven different Snoopy balloons, the most for any one character. Needless to say, Snoopy is the top dog. Entertainer Eddie Cantor -- familiar to Broadway, radio, movie and early TV audiences -- became the first human to be turned into a Macy's parade balloon in 1934. 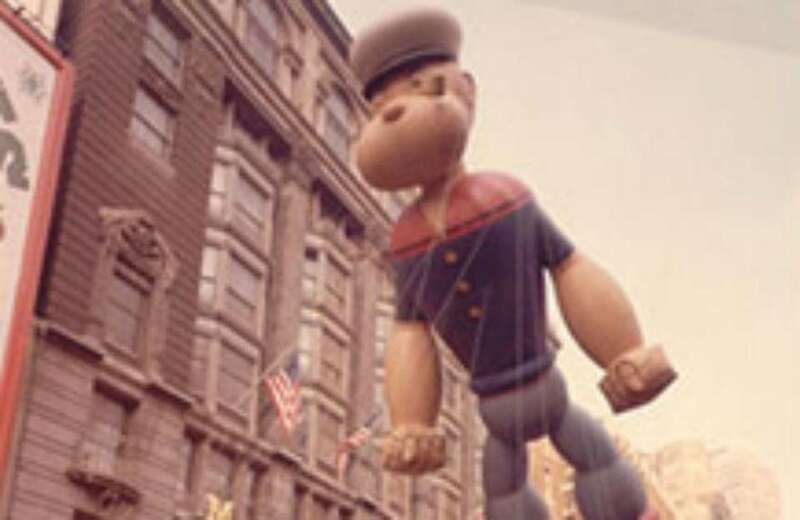 Spectators at the 1957 parade got an unexpected surprise as Popeye passed by. Rain water from a sudden downpour collected inside his hat, and, as the balloon tipped forward, it dumped gallons of water onto those nearby. Throughout the years, floats in the parade have become more elaborate and increased in size -- up to 40 feet tall and 28 feet wide -- but one thing remains the same. The floats must be capable of being folded into a 12-foot-by-8-foot box so they can be transported from the Macy's Parade Studio in New Jersey to Manhattan by way of the Lincoln Tunnel. What's a "falloon"? What about a "balloonicle"? Go ahead and ask one of the artists who work in the Macy's Parade Studio. A "falloon" is the name given to a float that incorporates a cold air balloon. This hybrid was introduced in the 1980s. A "balloonicle" refers to a cold air balloon combined with a self-propelling vehicle, akin to the Weebles -- the children's roly-poly toy -- that debuted in 2004. 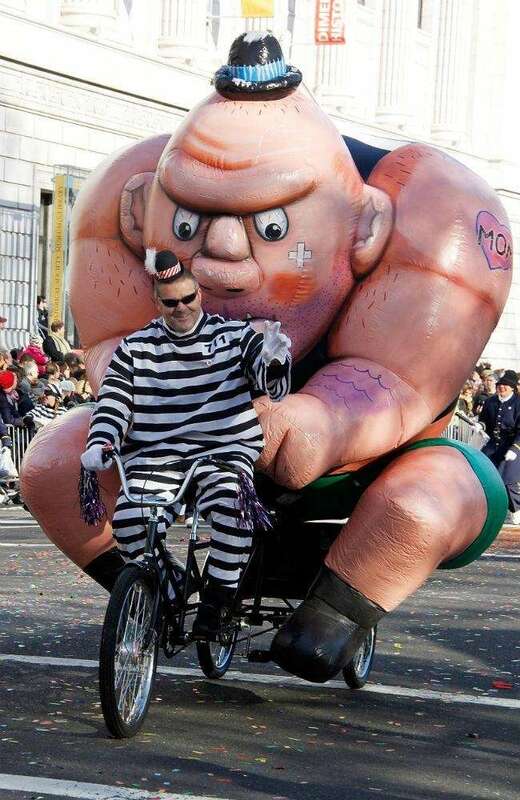 Those should not be confused with the parade's other innovation, "trycaloons" (pictured), which are part-balloon, part-tricycle. 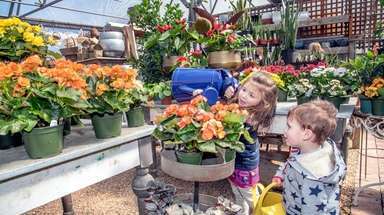 While the parade's balloons, floats, participants and spectators continue to grow each year, the route itself has been substantially downsized. When the first parade was held in 1924, the route stretched nearly 6 miles. But in 1946, the starting point was moved to Central Park West and 77th Street, slashing the distance by more than half. That was also the first year the parade, which drew 2 million spectators, was televised locally. 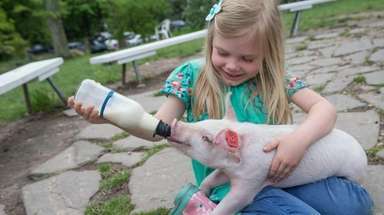 The following year it was broadcast to a national audience. Savory Thanksgiving side dishes to make this yearFrom seasoned vegetables to creamy potatoes, these delicious sides will go great with your Thanksgiving turkey. 16 delicious desserts for ThanksgivingEven after a huge Thanksgiving dinner, there's always room for dessert. Here are some tasty treats to cap off your holiday feast.